The Old Masters would have ground most of their own pigments, or in the case of the more successful ones-had assistants do the work them. Along with this they would have had an intricate knowledge of the best ways to prepare each pigment. They could maximize the brilliance and longevity of each color. 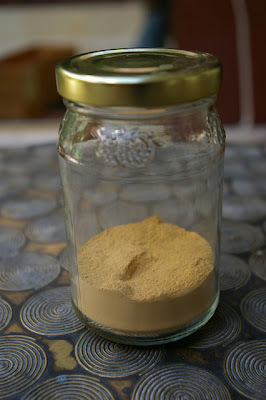 Some of the mineral pigments that I'm preparing to make are better suited to different binding mediums. 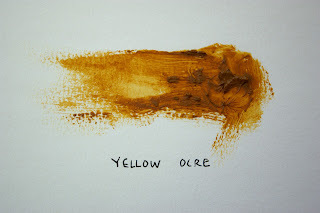 The linseed oil that I've used to mix most of my paints is not really compatible with these colors. 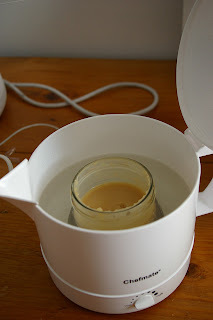 So this week I started preparing some walnut oil. 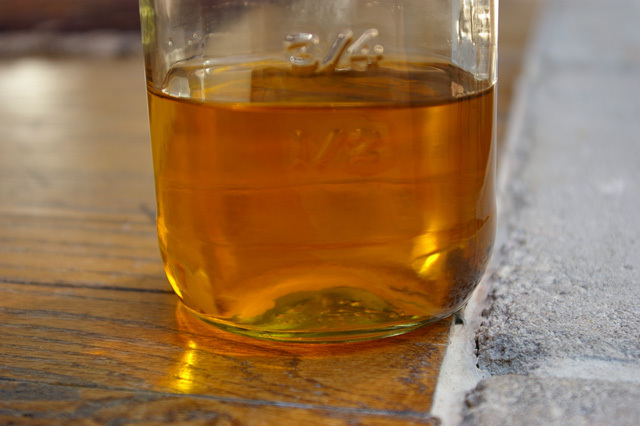 The process is the same as for preparing linseed oil. The walnut oil will need to be cleansed of natural contaminants before I can use it. I will do this using water and sunlight. 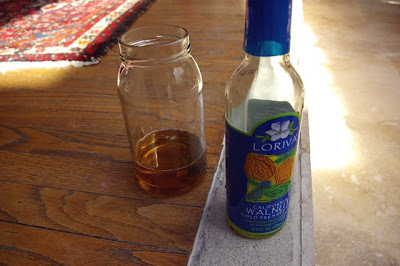 Here is the walnut oil I'm going to be using. This is a decent California brand, bought from the grocery store. 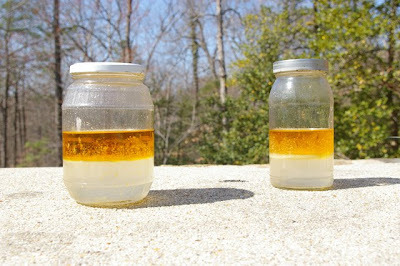 I added distilled water into the oil, shook the mixture thoroughly, and left it out under the sun. I waited about 3 days. The water and oil have separated. 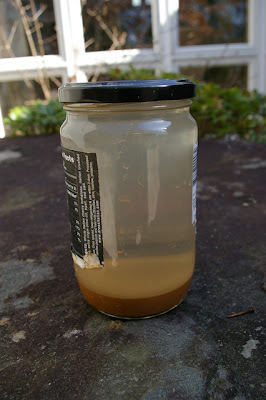 The mucilage and other contaminants are trapped in between the two. Here's a close up shot. 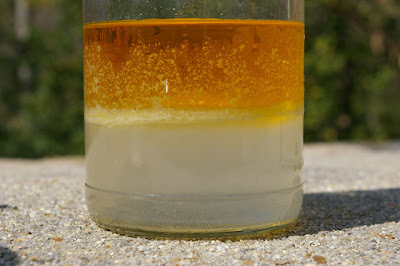 The layer of mucilage is really visible here. Yuck. A top down shot that really shows the mucilage well. It has already discolored noticeably from only a few days in the sun. This would be a major contributor to yellowing and other discoloration in a painting if not first removed. I very carefully removed the oil from the top using a pipette. The oil is noticeably clearer now than before. I will repeat the process several more times until I'm satisfied I've gotten it clean. 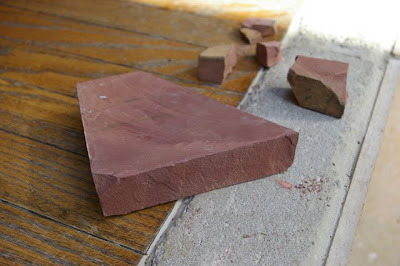 A small update - I've searched for alternatives to the Red Jasper, and found one in the form of Minnesota Pipestone. This sandstone was traditionally used by Native Americans as a carving stone for making pipes. This is where it got its name. While I don't find the color as pretty as the Jasper, I can certainly say that it is easier to grind. It was also significantly cheaper. Another bonus. The old porcelain mortal and pestle I had been using was straining to keep up. It finally split into pieces. So I went out and got a new stone model that seems to work much better. Initially, I was disappointed in this color, it didn't seem to handle much better than the Jasper. Part of my theory about the problems I was having was that I wasn't grinding the pigments properly. 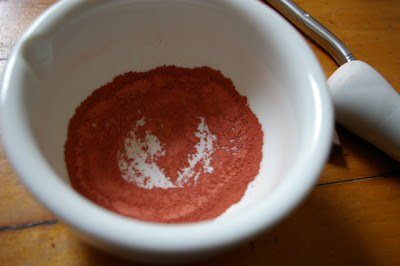 I thought that the powder was too coarse, this was making it hard for the pigment to bind well. I went back and ground it again and this was a big improvement. 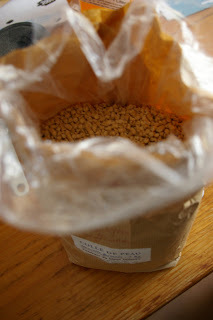 Making paints from natural clays is relatively easy, which is why I chose to begin my project with them. At some point, I knew that I would have to move on to grinding other materials, including minerals. So I've spent a lot of time doing research. Some jewels are relatively easy to find and cheap. I've bought small samples that were historically used as paints to try out. I'm crushing everything slowly by hand. Jasper is relatively hard, so this was time consuming. 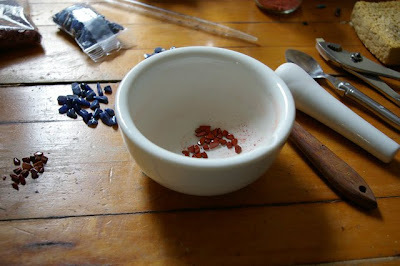 I broke the large pieces with pliers, then ground with the mortar and pestle until I had a fine powder. I tried out some of the Jasper the other day. I wasn't pleased with its handling qualities in paint. 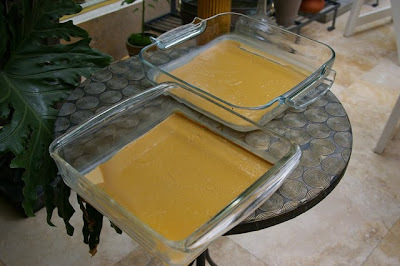 It was very gritty in texture and did not seem to bind well with the oil. I've set this color aside. The next color I tried out was Sodalite. It was much easier to crush than the Jasper. As I crushed the rock, the color went from a dark Navy-blue, to a light blue-gray. The color also didn't combine well with oil. Cross another one off the list. Both colors were added to my color chart. The silt separated, the color shifted. Less red, and much more orange. 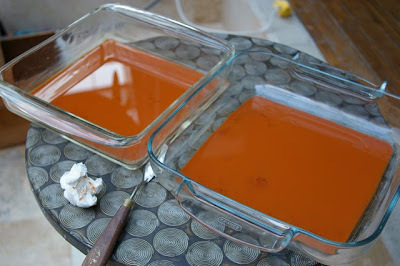 Now dry, I ground the pigment. Buoyed from the success of my first efforts, I have continued to work on creating more pigments from scratch. 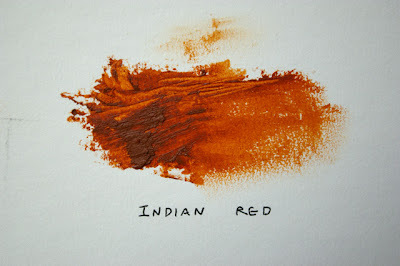 My goal is to have hand-made historic pigments to match or replace everything I currently use on my palette. The only important requirement is that they should be permanent colors. I would like to avoid the highly toxic pigments. Why not simply buy these colors? There is a niche industry that can still supply them. 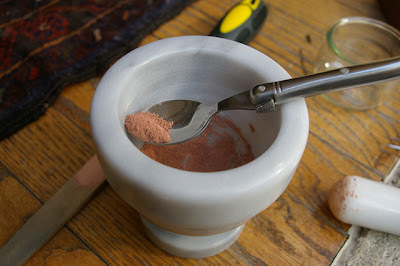 However, most historic pigments made today are also prepared using modern equipment. 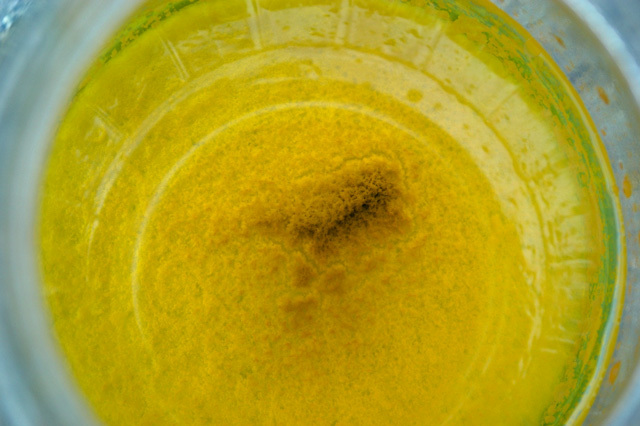 These pigments are extremely finely, uniformly ground. These colors lack the unique look and handling qualities of hand made paint. 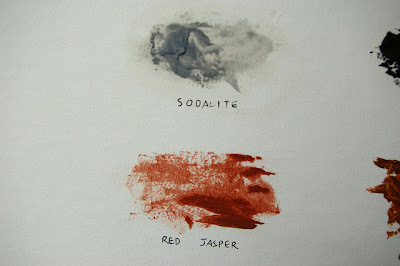 I have reason to believe that natural hand-ground pigments are much of what made the Old Master's work special. Is it any coincidence that the great search for the "Secrets of the Old Masters" began about the same time modern synthetic tube paints appeared? I don't think so. For example, people have been analyzing the work of Rembrandt now for over a century, trying to unlock his "magic." Efforts to recreate his style with modern materials fall flat. This has led to claims he employed special mediums, magic elixirs that allowed him to render in a way that is not possible today. Chemical analysis has never shown anything special, yet some continue to persist. I believe it a simple combination of genius and a mastery of the materials used. Moving on from black, I approached the next set of "easy" colors, the natural earth pigments. Some clay gathered from the back of our property. 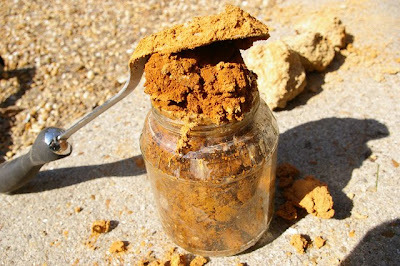 The iron minerals in the clay are what gives it its color. 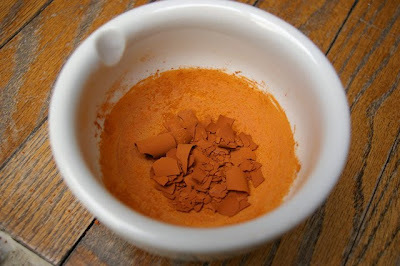 To make a pigment, I need to filter it and collect only the smallest particles of clay. I've worked out a method similar to what was done historically to prepare my own. Some tools of the trade. My first order of business was to sift out organics and really coarse particles. 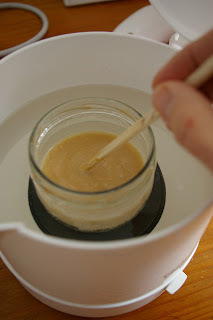 Then I washed what was left over repeatedly with water, passing it between many jars quickly, to collect only the lightest, finest clay particles. It probably sounds a lot more complicated than it was. The whole process only took about an hour. I set aside the full jar for a couple hours. The fine silt settled to the bottom. 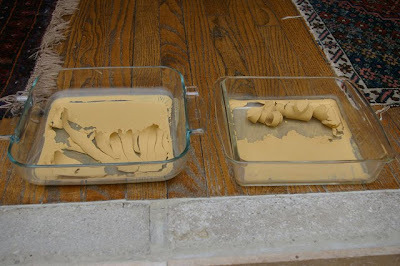 Then I drained the water away, and can set the clay out to dry. Here is some yellow clay I'm drying to make yellow ochre. The clay after several days of drying. 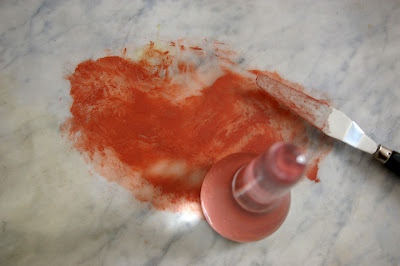 I scraped it off and ground the final pigment. The final color, mixed with oil. I've created a large chart to record all of my different pigments. This way I can also compare and reference the different earth colors as I make them. 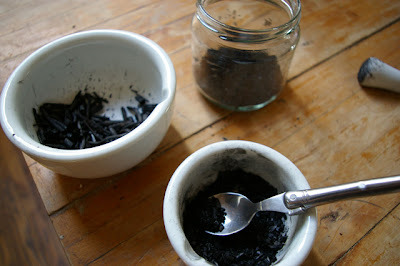 Artists have made black pigments from a huge variety of sources. The majority have been the by product of burning or charring some material. 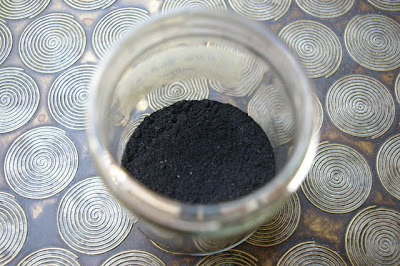 Probably the earliest pigment ever made, is Vine black. Made from charcoal, it is seen on the walls of famous cave paintings close to 20,000 years old. 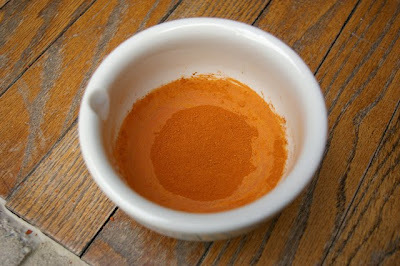 This will be the first pigment I've ever made from scratch. 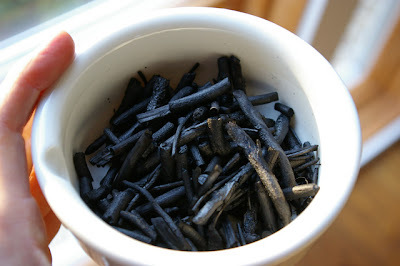 I researched how vine black was made in the past. I would need to collect some wood and heat it, but cut off most of the oxygen so that it would char, not burn. 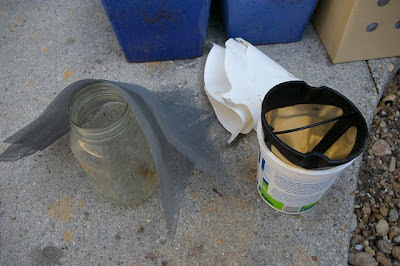 To do this, I made a crucible by lining the inside of a flower pot with foil. I read that willow is supposed to make the best charcoal. 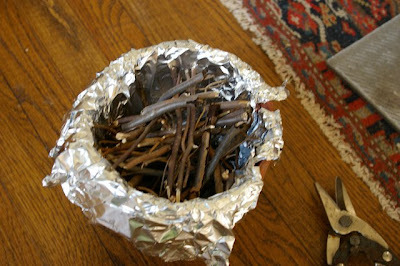 So I gathered and cut up some thin branches, put them in the crucible and covered the top. I put this in our wood stove. Twigs of willow in the crucible, ready to go into the fire. The willow out of the fire. I tried a piece out, it makes excellent drawing charcoal! Onto grinding. 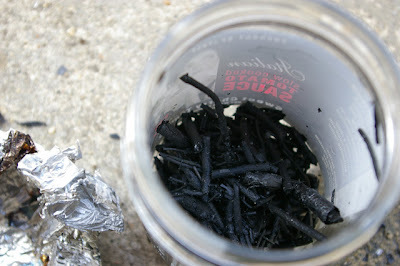 Once my charcoal was ground, I washed it in water. 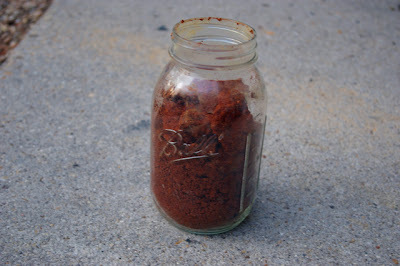 Wood ashes contain potash, which lye is made from. This should remove most of it. Once the charcoal was dry again, I did a final grinding. My adventure into traditional materials begins with the foundation the picture rests upon. Up until recently, I had been using quality pre-primed canvas. 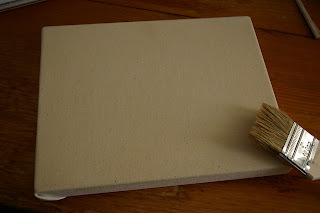 Interested friends and family had tried to convince me for years to try sizing and priming canvas myself. I finally decided to try it. A bag of glue I got on a recent trip abroad. 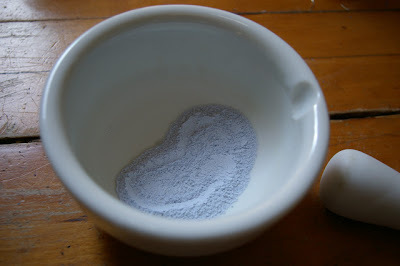 The dry glue will usually come in the form of a powder or granules like this. To make a size, I will need to mix the glue with water under heat. Someone recommended a hotpot. I bought an inexpensive adjustable model. Here you can see the mix in the pot under heat. All I need to do is stir occasionally until the glue has totally dissolved. 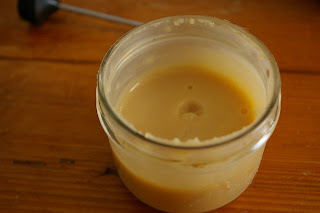 Once the glue has mixed thoroughly, I can remove it from the heat and let it cool off. 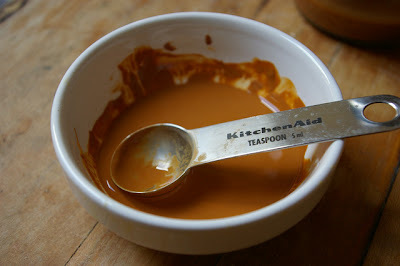 As the glue cools, it will harden into a smooth gel. Here is the size now that it has cooled off. Getting the mix so the glue is just right can involve a bit trial and error. To apply size to the canvas, I will need to reheat it again into a liquid. Here I am stirring the size under heat. Once the size goes on, an amazing thing happens. The canvas tightens like the head of a drum. So I don't have to do much stretching beforehand, it does much of the work for me. Once the size has dried, I'm ready to prime. I use an oil primer on canvas since its a flexible support. The canvas will need to cure for several months before use. I try to plan my projects around this downtime the best I can, so that I'm never without fresh canvas.